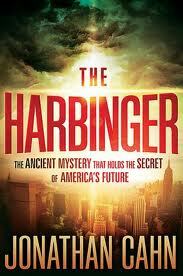 I am currently reading a book called The Harbinger, by Jonathan Cahn. I thoroughly enjoy fiction that is interwoven with historical facts, but this book really makes a very interesting case for the inter connectivity between America and Israel. Before its destruction as a nation, ancient Israel received nine harbingers, prophetic omens of warning. The same nine harbingers are now manifesting in America with immediate ramifications for end-time prophecy. Hidden in an ancient biblical prophecy from Isaiah, the mysteries revealed in The Harbinger are so precise that they foretold recent American events down to the exact days. I have found the book to be a great read but one particular fact in the book really stands out. According to the ancient Hebrew calendar, the seventh year is referred to as the Sabbatical Year which is the seventh year of the seven-year agricultural cycle mandated by the Torah for the Land of Israel, and still observed in contemporary Judaism. During the Sabbatical year, the land is left to lie fallow and all agricultural activity (including plowing, planting, pruning and harvesting) is forbidden. Other cultivation techniques (such as watering, fertilizing, weeding, spraying, trimming and mowing) may be performed as a preventative measure only, not to improve the growth of trees or plants. Additionally, any fruits which grow of their own accord are deemed owner less and may be picked by anyone. A variety of laws also apply to the sale, consumption and disposal of this produce. A second aspect of the Sabbatical year concerns debts and loans. When the year ends, personal debts which are due during that year are considered nullified and forgiven. The last day of the Sabbatical Year is the 29th day of the twelfth month of the Hebrew calendar, know as Elul. As we remember all too well, our country was attacked on September 11, 2001. The stock market did not re-open until September 17th due to the catastrophes in New York, Washington and Pennsylvania. On that day the stock market crashed and lost 685 point. 7 years later the stock market lost 778 points on September 29, 2008. According to the Hebrew calendar, these two dates coincide with the 29th day of the twelfth month, known as Elul, exactly seven years apart to the day. This is the day when all personal debts due during that year are considered nullified and forgiven. Let me know what you think about this blog today. A bit off topic but quite interesting.